This week, Gus Van Sant’s landmark 1991 indie film My Own Private Idaho is being released on Blu-ray, through the Criterion Collection. Mike Waters (River Phoenix) is a young hustler on the streets of Portland, who is prone to narcoleptic attacks and sets out on the road in search of his mother, along with his friend Scott Favor (Keanu Reeves), a fellow street worker who comes from a wealthy family. The first thing we see onscreen is highlighted text of a dictionary definition for narcolepsy, and this perfectly sets the tone for the almost dreamlike quality of the rest of the film. The powerful imagery and music further set the mood, bringing us into the world of these young men as they drift through their lives, searching for some semblance of close connection or meaning. River Phoenix brings the central character to moving life, and there is perhaps no greater metaphor for his underlying loneliness and sadness than how he often falls asleep in the middle of what is happening around him. From his hair to his precise but cool mannerisms, the late actor is almost eerily channelling James Dean, another young talent and icon of his era who left us much too soon. Keanu Reeves delivers what remains one of his best performances, and Williams Richert provides compelling supporting work as an eccentric older homeless man, who is the self professed leader of the local street kids. Loosely based on Shakespeare’s Henry IV, the beautifully written screenplay explores subject matter that was groundbreaking for the time, and there is a haunting timelessness to the themes of drug abuse and homelessness amongst gay youth that permeates throughout My Own Private Idaho. This is a true road movie, capturing the profound loneliness of a life lived constantly searching for that elusive place called home, and the at once sad and bittersweet journey of its characters still resonates just as deeply. 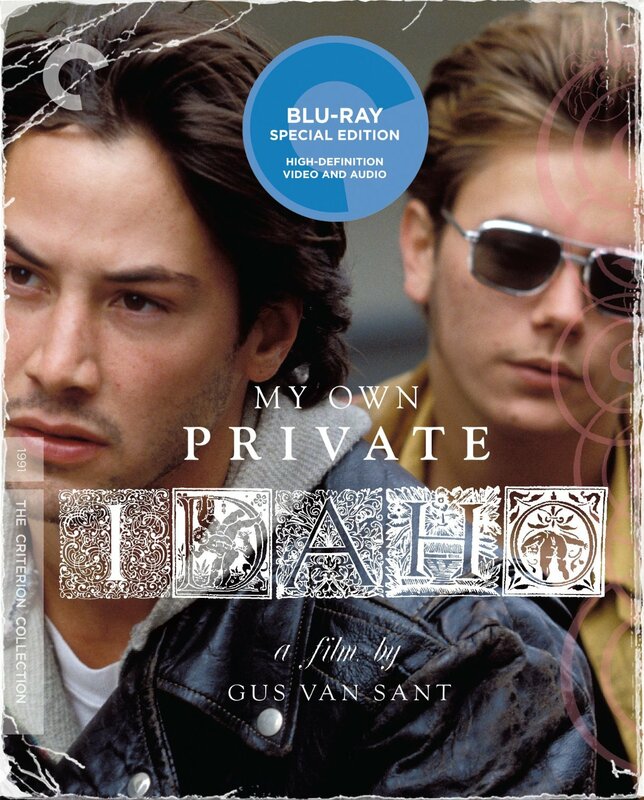 The Blu-ray includes the 2005 documentary The Making of My Own Private Idaho featuring the cast and crew, an illustrated audio conversation between Gus Van Sant and fellow filmmaker Todd Haynes, deleted scenes, and more. The package also includes a nicely illustrated book featuring essays, and reprinted interviews with Gus Van Sant, River Phoenix and Keanu Reeves. My Own Private Idaho is 104 minutes and rated R.